You can earn 160 yards with this purchase! 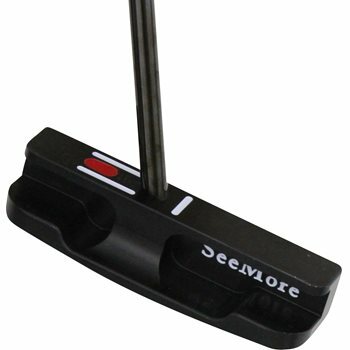 The SeeMore FGP Original putter is constructed of cast 303 stainless steel and precision milled face. The patented RifleScope Technology (RST) alignment system provides a true reference point for optimized alignment on every putt. It is face-balanced, which allows the putter face to be square at impact for improved accuracy.